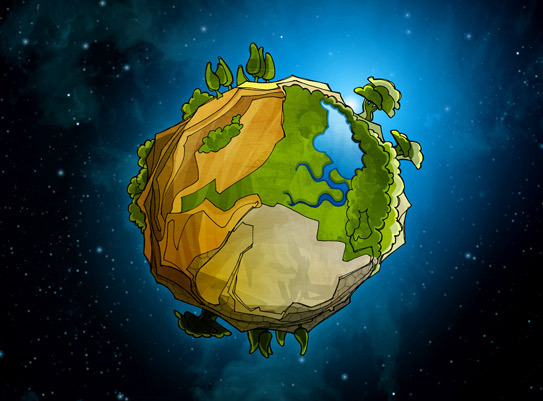 Planet Meotom, home of the Meums, is out of balance. The Meums are running out of food. 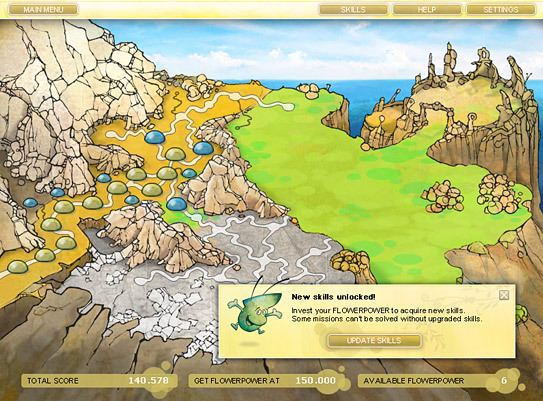 Stonebiters are invading the Meum's territory. 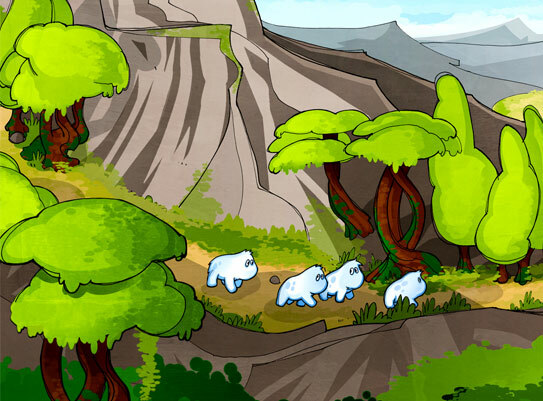 Therefore, the Elders decide to send out a group of young and strong Meums to search for an ancient city in the North. 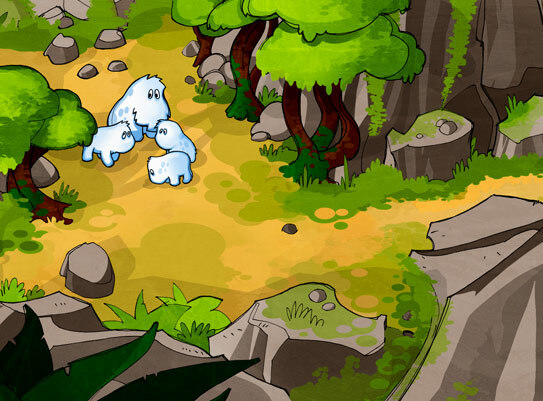 Guide and protect a herd of cute, furry animals in Meum-Trail. 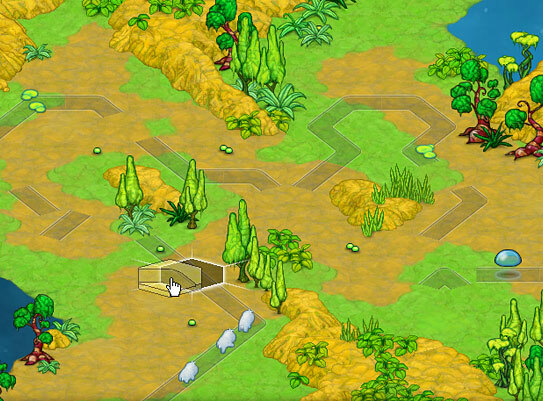 Pave their way by completing the road to the exit of each level. 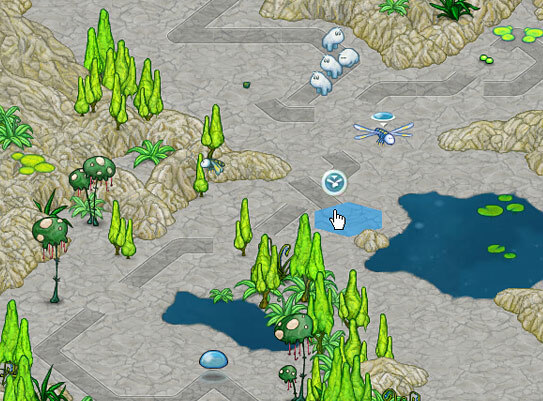 Take good care of your followers, find the ancient city and restore the harmonic co-existence of all animals living on planet Meotom. 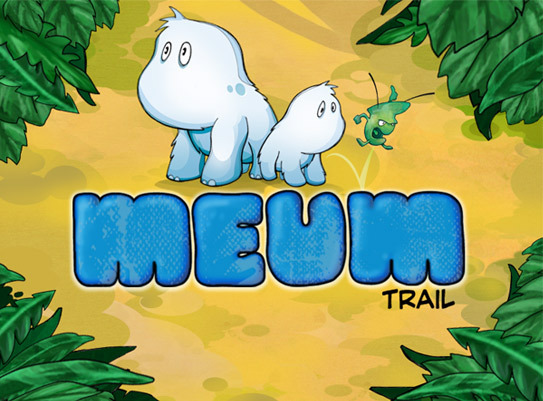 Meum-Trail is a fun road-building puzzle that offers 55 levels. 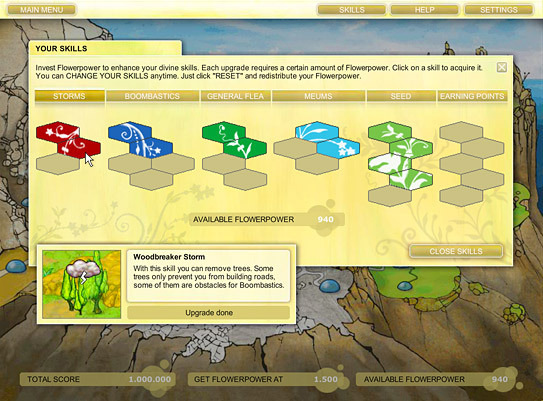 Various upgrades can be acquired by investing "Flowerpower". 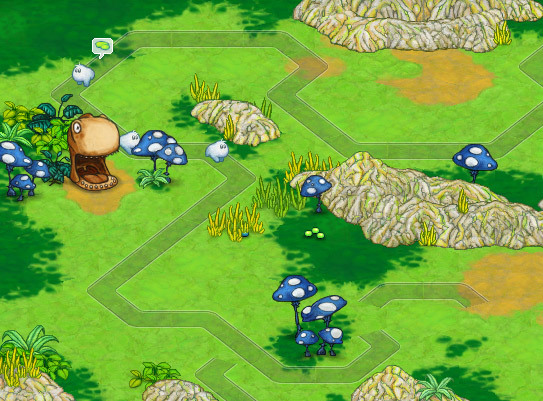 Total playing time is approximately six hours. A free one hour trial for the PC can be downloaded at Big Fish Games. 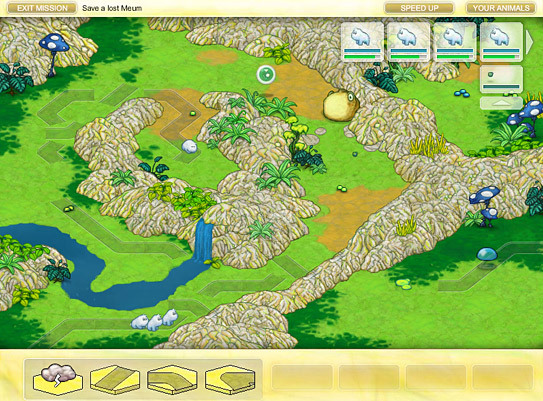 The game is available in five languages.